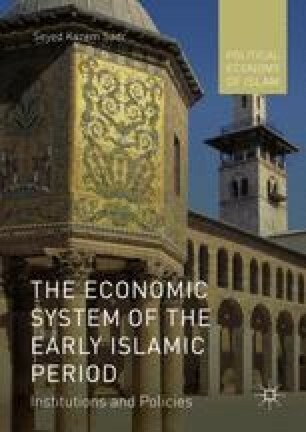 This chapter discusses the developments in the type, demand and supply process of money and the regulations that led to stability of its circulation in the early Islamic economy. The variety of financial services in the private sector for channelling savings deposits into investment activities are also described here. The chapter closes with a presentation of the financial policies and innovations that contributed to the growth of the economy and ensured its stability and resilience.